I've been meaning to do this for some time and finally got around to it. 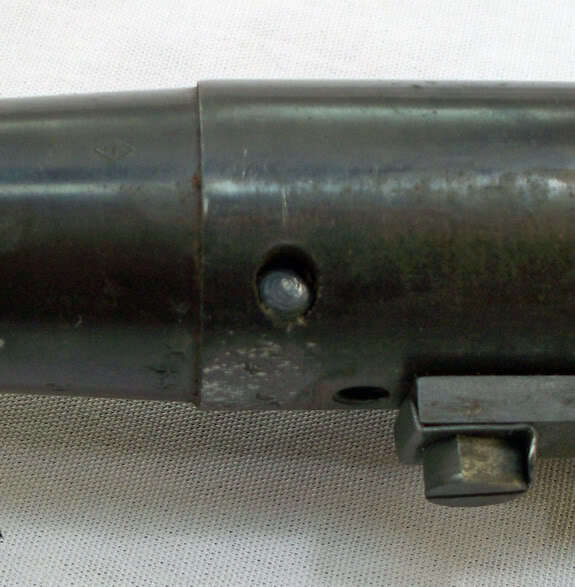 We're going to tackle barrel removal on a Polish Wz-48 .22 training rifle. I had a couple barreled receivers sitting around and thought that I would figure it out and post my results. The right side will have been peened over the end of the pin to keep it from drifting out, although I'm not sure that one of these barrels would have EVER drifted out of the receiver! You will want to drive the pin out from right to left, or peened side to the non-peened side. I broke one punch but I also used one that wasn't the right size. I then switched over to a 7/32" punch and finished the job. It didn't take too much to get it out, but I did have to drive two nails into my bench to hold the receiver while I did it. Any way you can figure out to hold the receiver securely will do just fine. After I got the pin out, I put the barreled receiver down and put a piece of flat stock on the flat of the receiver like so. 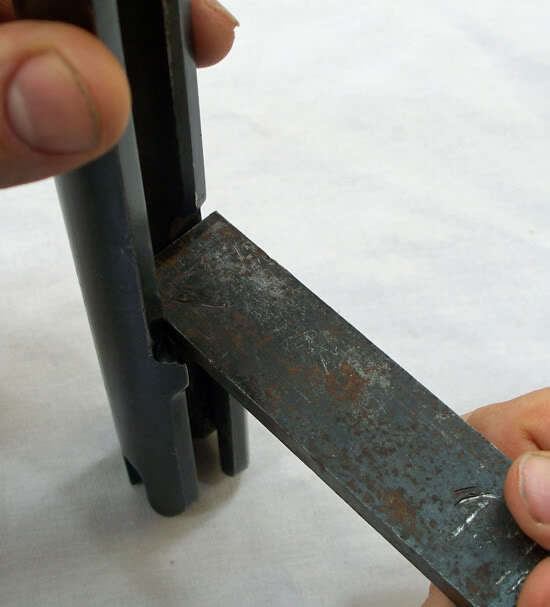 This was done to transfer the force of the hammer blows to the receiver without subjecting the receiver to being damaged. I used my 7 1/2 year old to hold the flat stock for me. After opening up the gap between the barrel shank and receiver I shot some Kroil into the gap and then proceeded to hit it a few more times to break the receiver free. 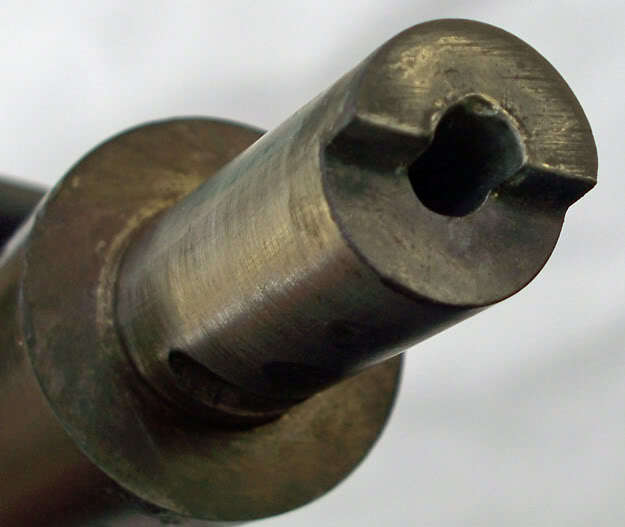 The interesting thing about the barreled receiver that I chose for this was that the receiver was actually numbered to the barrel shank, something that wasn't done that often at all. You know how folks tell you not to dry fire a .22? Well, this is why they tell you not to do that! You can, and will, easily damage the upper half of the chamber. With the barrel removed fixing this damage is quite easy; just get a small rat tail file and smooth it out. While you're at it, smooth out the face as well. Some of you may be wondering why I went to all this trouble. I did it 'cause I was bored, I wanted to add to the knowledge base of the Wz-48 trainers, AND I wanted to ream one of these bad boys out to .22 Magnum! Oh yeah, that means putting it all back together again when I'm done reaming it out. Quite right! 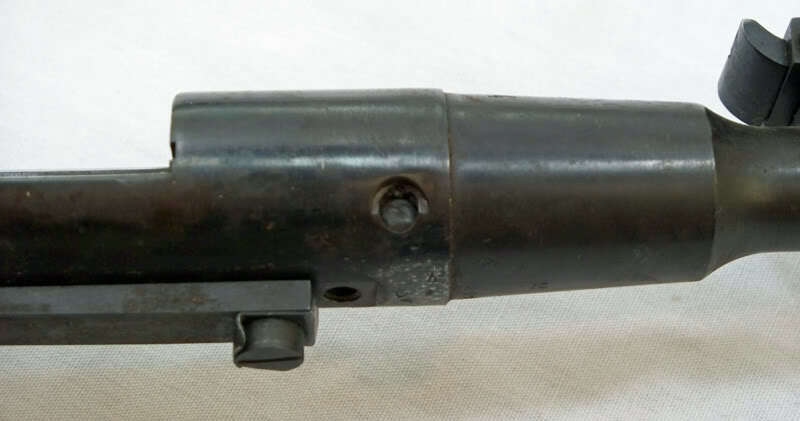 This barrel and receiver had crude witness marks on the underside of the barrel shank and the receiver. If yours does not, then it's a simple matter to scribe witness marks before you take the two pieces apart. 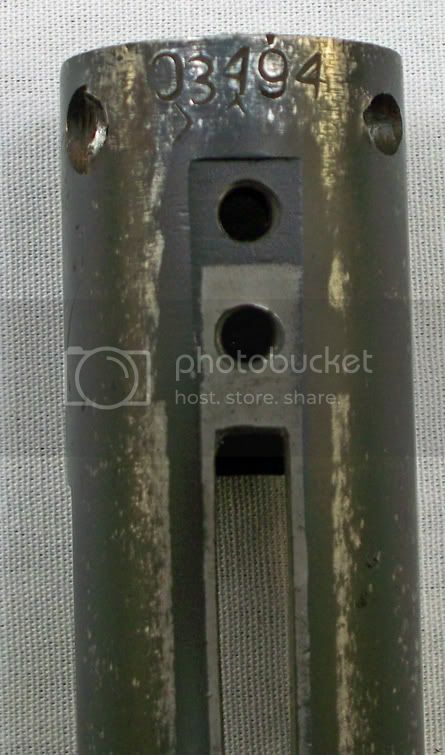 One of the interesting things I found out about the Wz-48 is that the screw that holds the trigger bar in place as well as the screw that holds the action in the stock both screw into threaded holes in the underside of the receiver that go all the way to the barrel shank, acting as a kind of set screw. As soon as I get a .22 Magnum reamer I will proceed to ream this out, put it back together again, then shoot it. I will, of course, post my findings here for all to see. If anyone has a .22 Magnum reamer I would greatly appreciate borrowing it. Any chance you know where to get a bolt? I have a decent complete rifle with no bolt. There was talk a few years ago by Preachere that they were going to "ream" a chamber out to .22 mag. That way you could use the same bolt for both calibers. Apearently there are a lot more barreled receivers than bolts. Well done post. Bravo Zulu. Terrific post! Great information and images. Thank you.